"I Believe I Can Fly," No. 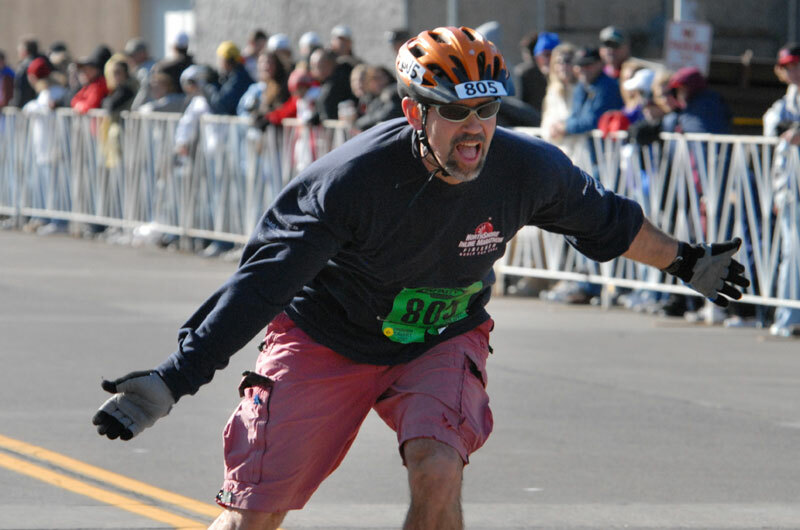 1 - Like many of the skaters, Rich Knowlton, 53, of Minneapolis, raised his arms as he crossed the finish line in front of the cheering crowd in Duluth. Knowlton posted a time of 1:45:35.